Among his ten weakest albums, but it includes the brilliant “Brownsville Girl“. Knocked Out Loaded is the twenty-fourth studio album by American singer-songwriter Bob Dylan, released on July 14, 1986 by Columbia Records. The album was received poorly upon release, and is still considered by some critics to be one of Dylan’s least-engaging efforts. However, the 11-minute epic “Brownsville Girl”—co-written by Sam Shepard—has been cited as one of his best by some critics. The album includes three cover songs, three collaborations with other songwriters, and two solo compositions by Dylan. Most of the album was recorded in the spring of 1986 (several tracks built on instrumental tracks from 1985 sessions), but one track, “Got My Mind Made Up”, was reportedly recorded during a one-day break in the Dylan/Tom Petty “True Confessions” tour in June. One song, “Maybe Someday”, paraphrases a line from T. S. Eliot’s poem Journey of the Magi: Eliot’s “And the cities hostile and the towns unfriendly” becomes in Dylan “Through hostile cities and unfriendly towns”. 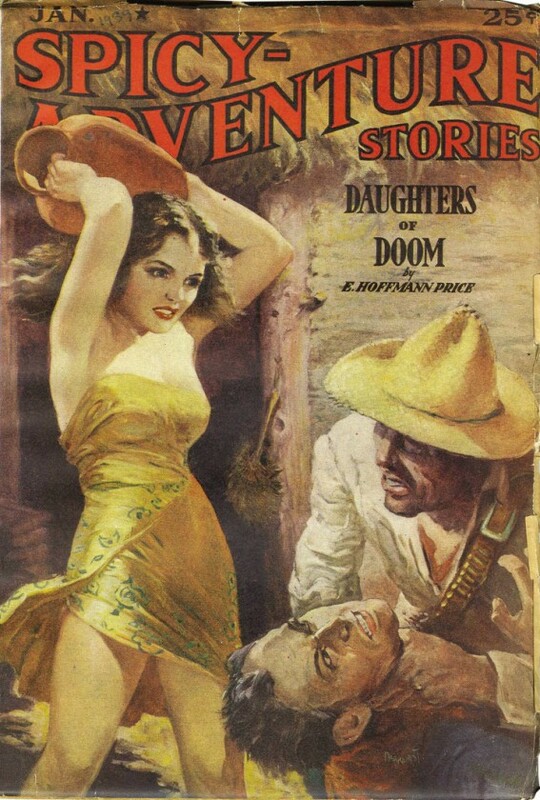 The cover art is a reworking of the January 1939 cover of Spicy Adventure Stories. Nevertheless after the overblown robotic coldness of Empire Burlesque this third-rate assemblage of studio scrapings, taken from various sessions 1984–86, has a warmth and human frailty that at least lets you in. Tired R&B (‘You Wanna Ramble’) and rockism (‘Got My Mind Made Up’); immaculately sung but shifty pop (‘Under Your Spell’); a cover of Kris Kristofferson’s wretched ‘They Killed Him’; and Dylan’s fine ‘Maybe Someday’ so badly produced that it is incomprehensible and could be sung by one of the Chipmunks. There’s a tender rendition, well-produced and refreshingly arranged, of the gospel standard ‘Precious Memories’, a robust cut of the good minor Dylan song ‘Driftin’ Too Far from Shore’ (with mad drumming), and, hidden among the dross, ‘Brownsville Girl’, co-written with Sam Shepard: a wonderful and innovative major work, intelligent and subtle, from a Bob Dylan out from behind his 1980s wall of self-contempt and wholly in command of his incomparable vocal resources. …Knocked Out Loaded, including four tracks from the spring 1986 sessions, and four overdubs of songs recorded at earlier sessions. The two weakest tracks are written by Dylan alone; three others are written by Dylan in collaboration with other writers (specifically writers of lyrics); and three songs are covers. I like the opening track, an obscure rockin’ blues called “You Wanna Ramble.” At times I quite enjoy Dylan’s performances of”Precious Memories,” “Under Your Spell,” “They Killed Him” (an absurd but rather charming production number, complete with children’s choir), and of course “Brownsville Girl,” the overdubbed version of “Danville Girl,” which serves as the centerpiece of and excuse for the album. Unfortunately, none of this material hangs together with the other tracks in the slightest; Dylan cannot have been surprised when the album (which was released shortly before the end of the tour; I bought a copy July 18) “peaked” on the U.S. charts at #55 (Empire Burlesque at least got to #33) and disappeared from sight shortly thereafter. It is considered a “minor Dylan album” by most reviewers, but there are other voices as well. The constantly changing Dylan, as we know him, has produced more than enough albums to more than enough fans, who may appreciate any or all. 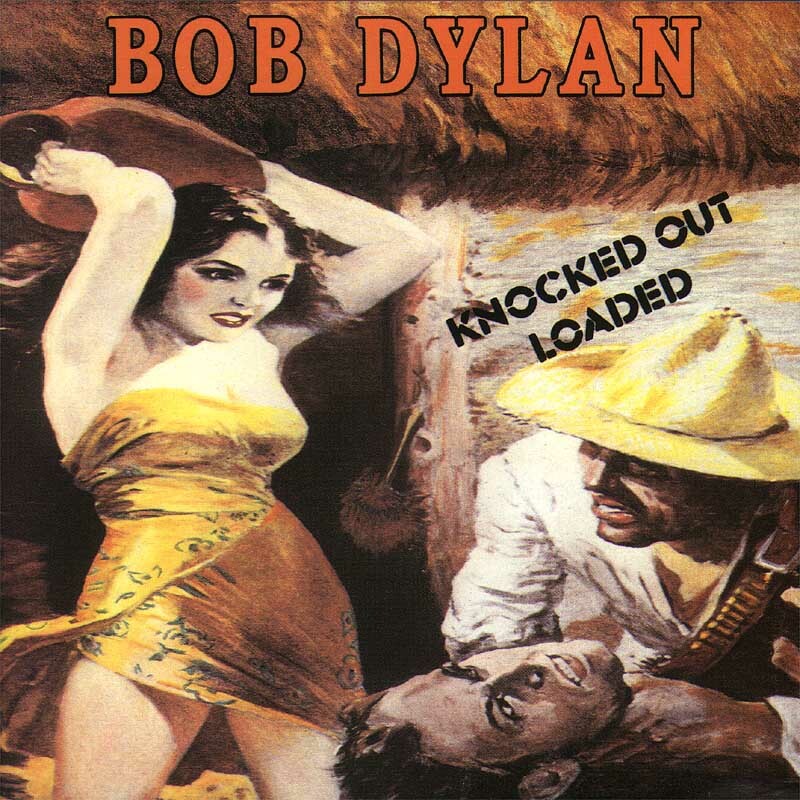 Knocked Out Loaded, to my mind, is as subjective to enjoyment as any other of Dylan’s workaholic record. Besides producing the LP, he has given his vocals, played three different instruments, engaged more than 50 professional musicians. I’m not complaining. By the way, my favourite on this LP is “Under your spell” with some simply great lines, ending with “… pray that I don’t die of thirst baby, two feet from the well”. Thanks for you interesting views. It’s not my favourite Dylan album, but as always, if you seek you’ll find some gems. Though I always liked Brownsville Girl, once I acquired a very good soundbite Empire Burlesque Outtakes on a vinyl edition from 87! this year I fell for New Danville Girl, it sounds more subdued and serious, with most jokes still intact, but with a melancholy touch that gives it more that desert atmosphere. agreed, some lines from Brownsville Girl are perfecter, yet one very deep couplet has been left out. And the cinematic feel of New Danville Girl is just as great in my opinion, anyway, they are both great versions, the way it fits on the album Empire Burlesque Outtakes, with the crazy heartfelt Who Loves You More, and naked takes of some of the best of the EB songs, I know which elpee I grab for when I want to hear this masterpiece. Sorry for the auto correction mistakes left in my comment, I hate the new techniques. I like this AND Down In The Groove…Under The Red Sky will be eventually regarded as a “classic”.